Executive committee members are appointed by the president. 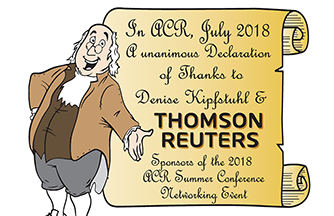 Emeritus members are past ACR presidents or past executive directors. Ken Hansen, UT (appointed 2010), emeritus member resigned mid-term as the Mountain West representative in the Summer of 2015 as he accepted another position with the State of Utah.